This is the third article from a series of interviews from students who did their exchange program in Liège. The objective is to share the experiences of people who lived in Liège with people who will. 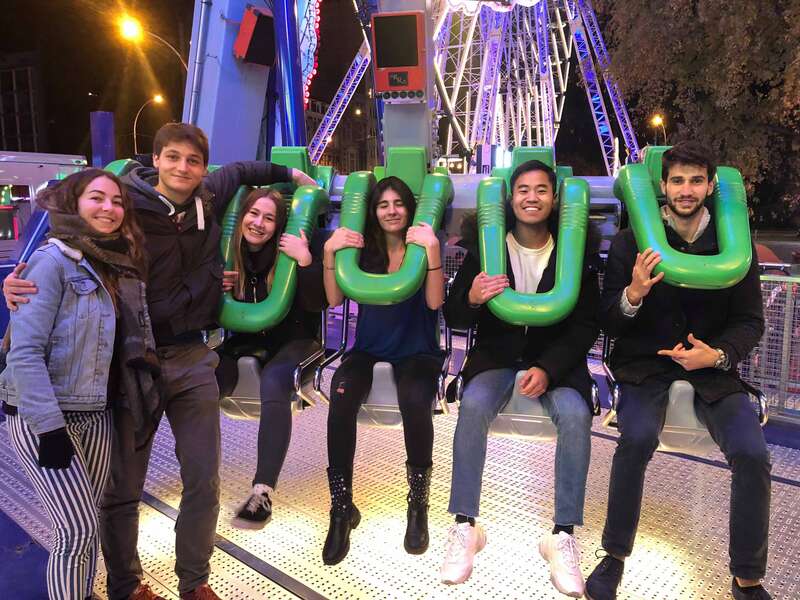 We hope that those articles will convince some of you to do their exchange here and reassure others that they made the right choice to select Liège as their Erasmus destination! My name is Aleksi, I am 24 years old and I come from Finland. 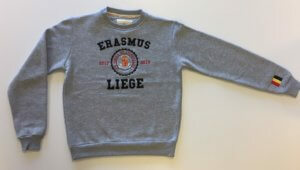 What is your general feeling about your Erasmus in Liège? My Erasmus in Liege gave me a lot of good memories. I also learned much about other cultures which was really nice. Tell us about a good memory or a funny anecdote during your exchange. What I loved about Liege was that there was something happening every time we went to city centrum. Concerts, fairs, markets and other happenings. This does not happen in Finland in many cities, so it was great to find always something new. Why should someone choose Liège as Erasmus destination? Liege is full of students because it has so many different faculties. I studied in HEC which located in the centrum, so it was easy to go there from my accommodation. Liege is a compact city, so it is easy to move around. There are many shops and restaurants and the centrum is always full of people. The city locates less than one hour from Brussels by train so it is easy to move around Belgium from there. What did you think about the Eras’must accommodation concept? They offer everything needed for exchange students. Private room, furniture, kitchen equipment, all bills included. They also give advices for every day life in Belgium. I could always just ask if I needed something. So Eras’must concept is a great platform to focus on enjoying the experience. Any tips or advice for students from Finland that will be coming to Liège in the future? Ottakaa mukaan käteistä, sillä kortilla ei voi maksaa kaikissa paikoissa. Joissain paikossa on minimirahamäärä, minkä voi kortilla maksaa, joten joskus tuli ostettua sen takia turhaan ylimääräistä. Translation: Take cash with you since you cannot pay with credit card in many places. Sometimes there is a minimum price that you must buy to use card so every now and then I had to buy more stuff just because of that. Hi, my name is Paolo, I am 24 years old and I come from Genova, in Italy. 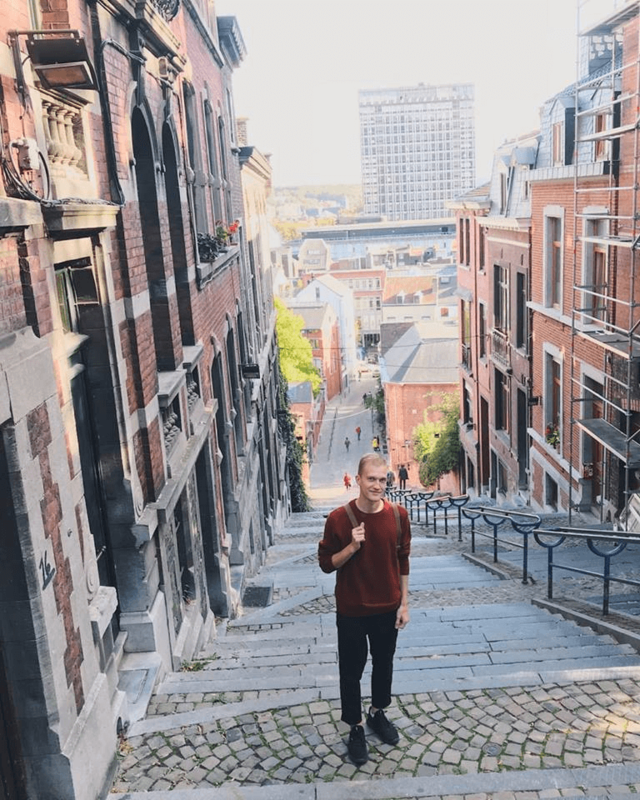 I am a Management student and, between September 2018 and January 2019, I did my first study experience abroad, choosing to study at HEC Liège Management School for one semester. My reason for applying the Erasmus program in Liège was that it offers an opportunity to study in an international environment. The city welcomes more than 1000 foreign students per year coming from all over the world. Moreover, if you are studying Business you have to know that HEC Liège Management School has an excellent reputation with a well-structured academic offer. I met a lot of people in these months, building a strong relationship with them. I really had a good time in Liège, and I can say that reality has exceeded my expectations. I am sure that I will always remember it. 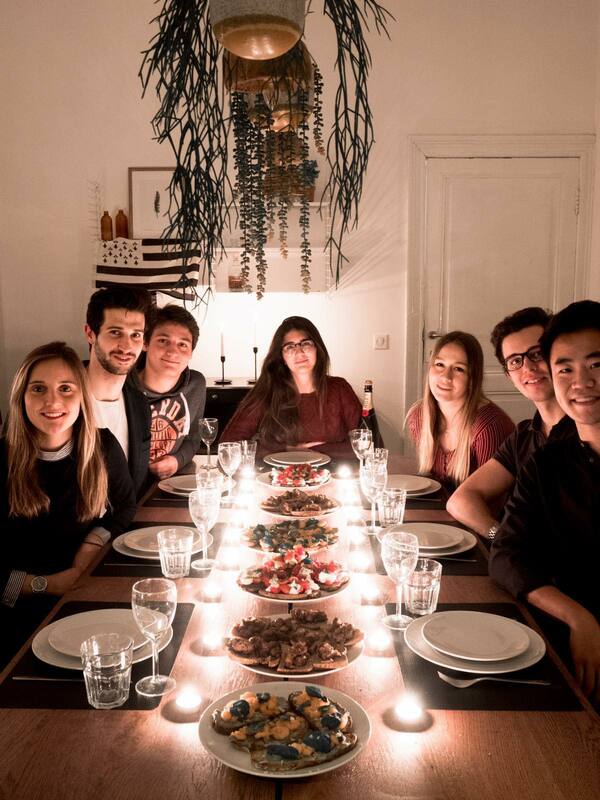 In my accommodation [ Eras’must Sainte-Véronique house ], I found not roommates but real friends with whom I shared everything during the semester: happiness and fears, different habits and cultures, good food and lifestyles. Inside the house, there was an atmosphere of friendship: I can say that we have been able to create a real international family. Imagine that, for Christmas we did a huge home-made Christmas dinner, cooking a representative meal from our country of origin (see picture below)! We have organized many parties and trips together. For instance, we visited big cities like Brussels, Amsterdam and Köln and fabulous smaller places like Bruges, Dinant, Ghent, and Spa. A funny anecdote about my experience in Belgium: where you can find draft beer and hot waffles at the University bar if not in the one of Liège? Although Liège is not one of the most famous cities in Europe, it is a perfect place to spend a part of your university career. First of all, because it is a student city and you can be sure to meet people from different cultures, from all over the world. The people of Liège are famous for being friendly and every month there are public events and cool festivals. In addition, Liège has a lively nightlife: every day you can find something to do and expand your network by meeting new people. In the city centre, there is a special place to celebrate, “Le Carré“, which is waiting for you to have fun and taste all the local beers! Thanks to Eras’must, I had the possibility to live every single day of my Erasmus in an international context with my international family. All Eras’must accommodations are really well furnished: they have beautiful private rooms, large common areas, separate laundry space and a big garden to party with your friends. You can also organize PlayStation and Baby-foot international tournaments or watch movies on Netflix with your “Liégeois” crew. After these months, I’m certain to say that this type of accommodation is essential to fully enjoy your experience abroad and that Eras’must meets all the needs of a student. Any tips or advice for students from Italy that will be come to Liège? Il Belgio è un ottimo compromesso per poter studiare in un ambiente dinamico e internazionale all’interno di un’Università prestigiosa e, al contempo, avere la certezza di divertirsi. I voli dall’Italia per Bruxelles sono generalmente molto economici e gli aeroporti di Zaventem e Charleroi assicurano la possibilità di viaggiare a basso costo in tutta Europa. Translation: Belgium is a perfect compromise if you want to study in an International and dynamic environment, in a well-known University and, at the same time, have the opportunity to enjoy your time. Flights from Italy to Brussels are generally cheap and from Zaventem and Charleroi you can find low-cost flights to visit any European cities. 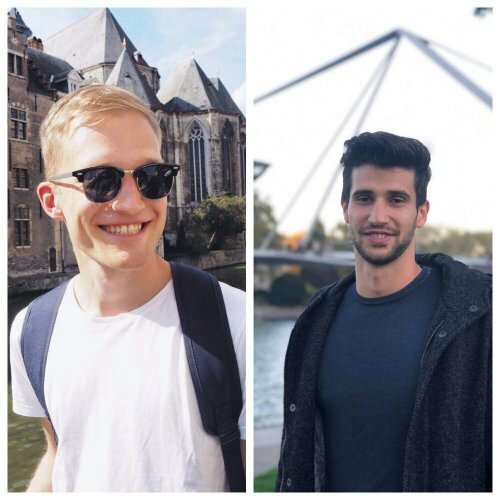 Big thanks to Aleksi and Paolo who kindly accepted to answer our questions and share their experience 🙂 ! If you are/were an international student in Liège and want to share your experience on our blog, we would be more than happy to publish your story! Don’t hesitate to place your pre-order even though you are unsure about the exact size you want. In fact, we will give the opportunity to try on the sweaters at our office in the city centre on regular basis (Address: Boulevard de la Sauvenière, 118 – 4000 Liège). You will then be able to change the size you have previously selected, if necessary. The model is unisex. So girls, we encourage you to pick a size smaller than the one you are usually used to wear. International students sometimes buy a bike on their arrival and then try to sell it back when they leave, often unsuccessfully. We want to avoid you that kind of inconvenient situation to happen by giving you the (cheaper) opportunity to rent a bike for the whole period of your exchange. Renting a bike is a healthy and inexpensive option to move in the city. You could keep the bike night and day from the day you pick it up to the day you bring it back. Note: A garantee deposit of 100€ will be asked when you will pick up the bike. If there are no damages detected such as mentioned in the Terms of services, it will be entirely given back to you at the end of the renting period. With this service, you will avoid a major issue that is too frequently encountered by Erasmus students. In fact, many of them would have found their accommodation on the Internet, either on social medias either on regular accommodation websites, BEFORE they arrive in their host country. Therefore, those students are not able to visit the apartment or residence by themselves and have sometimes to base their decision only on a few pictures and descriptions about the place that will become their home for the coming months. To prevent this kind of unfortunate situation to happen to you, WE VISIT FOR YOU! Once it is done, we send you a complete report about the place you asked us to visit. – Complete information about the house/flat/residence: What is the total size? How many bedrooms in total? Is it furnished (what furniture)? Is there a garden/terrace? Is there an elevator in the building? – Complete information about your room: What is the real size? Is it furnished (what furniture)? What is the size of the bed? Is there a door key? Is there a direct access to water? The service is completed as fast as possible once the order is placed, in a maximum period of 5 working days. Do you want to start having conversations as soon as possible? This intensive course lasts for 1 week and takes place during 4 mornings. The teachers will base their approach on speaking and listening skills, with a focus on the day-to-day language and vocabulary. The objective of this course is to give you the opportunity to handle small conversations very quickly, even before university starts. The course material is included. A certificate is delivered at the end. The lessons are given by Call International, a private language school active in Liège, Bruxelles and Waterloo. Since 1987 this language and communication-skills company has been offering training for all levels in French, English, Dutch, Spanish, Italian, German, Portuguese, Russian and Chinese. Do you arrive/leave Belgium and want to enjoy a private and peaceful ride from/to the airport? Then, this service is for you! It can be pretty difficult to get from the airport to Liège, especially from Brussels South (Charleroi – CRL). In order to avoid you and/or your parents any additional stress on your arrival day in Belgium, we will arrange your private transfer from the airport to your new place in Liège. We also guarantee you a more interesting fare than any cab you would take on site (a cab driver that waits outside of the airport will charge you at least 150€). The only things we need to know are the time and place of your arrival. There will be someone waiting for you with an Eras’must sign bearing your name. Travelling with a group? No problem. You just have to get in touch with us and let us know how many you are so that we could make the arrangements for a bigger car to pick you up. This service can of course be used also during your stay in Belgium (if you go on a city trip somewhere in Europe for example), at the same price. You can also book this service for your return flight once you go back home. The service must be booked at least 72 hours before the arrival/departure date. It is currently available for two Belgian airports: Brussels South (Charleroi – CRL) and Zaventem (Brussels – BRU). No restriction regarding the pickup time. The Welcome Pack includes divers products to drink and to eat. In addition to that, you will also receive some goodies such as a pen, a city map, stickers, and so on… On top of all that, you will be handed various vouchers and discount coupons from our partners! It will be distributed at the beginning of the academic year, to all students that attend the schools and universities introduction presentations on Friday 15th September. Note: This pack doesn’t involve any engagement. Eras’must team members personally help you by providing assistance on practical and administrative matters. Moreover, we can act as an intermediary in case of language barrier between you and an interlocutor. Starting from the order date until the end of the semester, we stay available to you through a dedicated phone number, a dedicated email address and also in person, twice a week at our office. – Administrative procedure at the City hall for the obtaining of needed documents. – Opening of a bank account. – Getting a SIM-Card with a Belgian phone number. – In case of sickness, we make calls for you and point you to the appropriate hospital/doctor. We can also help you translating your statement if necessary. – In case of troubles with your landlord, we can act as an intermediary and try to facilitate and unlock the situation. We can also help you translating your statement in order to ease communication issues between you and the landlord. – In case you got your wallet/your purse stolen, we guide you in the administrative procedure at the Police. We can also help you translating your statement if necessary. – Finding a specific place, shop, restaurant in the city. ATTENTION: The personal assistance service cannot be considered as regular insurance, which it is not. Therefore, Eras’must does NOT refund any damages caused by and/or to the student (e.g. The student breaks something in his/her accommodation, lose his/her luggage, injures himself/herself, etc.). However, Eras’must acts as an intermediary that helps the students to solve their problems and guide them through the different procedures.